Good morning, porridge! - It's New and Different! It's New and Different! I’ve been flirting with this whole “Paleo” thing recently. I haven’t given up dairy or grains yet, but I love the idea of including vegetables in curious places. 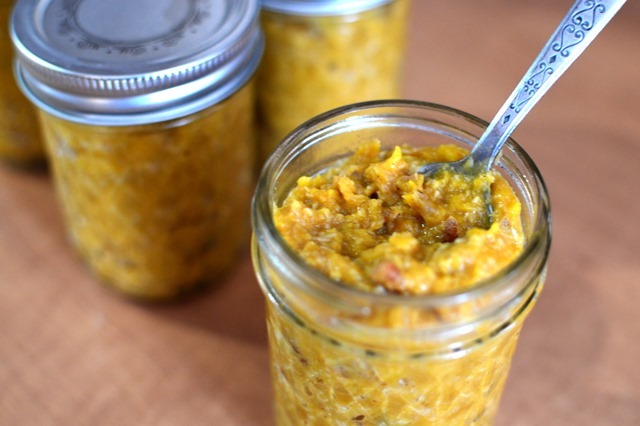 So when I stumbled across this recipe for “Faux-tmeal,” from Melissa over at CupcakesOMG, I knew the acorn squash languishing on my kitchen counter wasn’t long for this world. That’s right, people: acorn squash. For breakfast. Okay, sure, it seems a little weird. But I like squash and I like breakfast, so why not? I tweaked Melissa’s recipe a little bit, adding more shredded coconut and a pile of chopped pecans. I didn’t have any cardamom in the cupboard, so I subbed in pumpkin pie spice and vanilla extract. 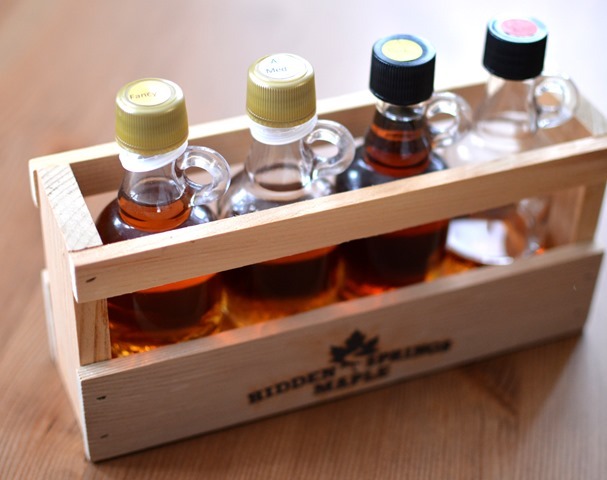 And, I used some of the fancy maple syrup that my lovely sent over from New England. The result was a chewy, hearty mash that tasted like eating pie for breakfast. It made more than enough to feed us breakfast for the next few days, so I packed it into mason jars to make it easy to eat on the go. Yum! 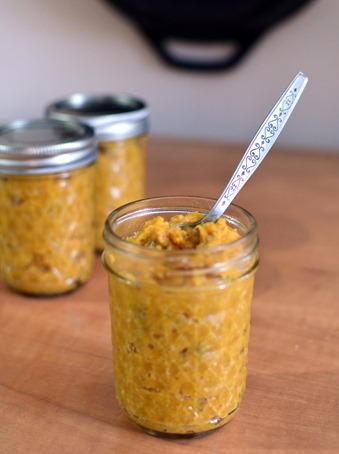 In a medium saucepan, combine the squash, coconut milk, pumpkin pie spice, and maple syrup. 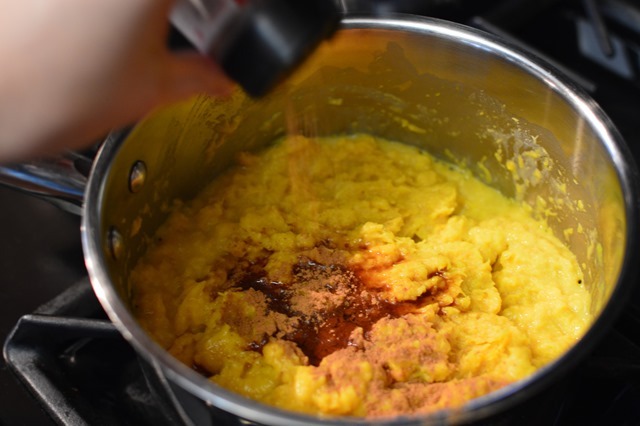 Using a potato masher, mash the squash and mix well. Cook over medium-low heat for 8-10 minutes. 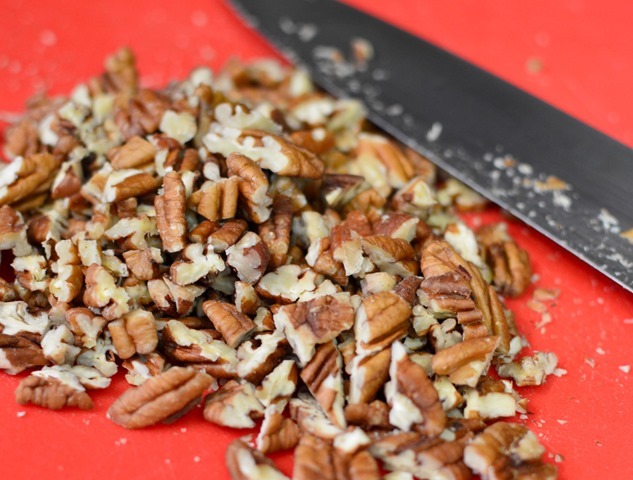 Incorporate the shredded coconut and chopped pecans and mix well. If too thick, add coconut milk until desired consistency is reached. Serve hot; leftovers taste great when reheated.